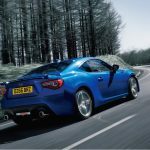 Subaru’s BRZ Sports Coupe is back for 2017 with a comprehensive update to further cement BRZ as the driver’s car of choice. 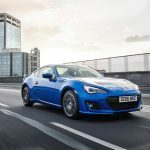 The update covers every area of BRZ; exterior, interior, powertrain, suspension and safety, refining the driving experience whilst enhancing sports car appeal. The Coupe shape remains, but is enhanced with a wider, lower stance at the front end. This isn’t just for show, as the 45? stepped accent on the bumper limits airflow into the air intake, which improves handling and ride. 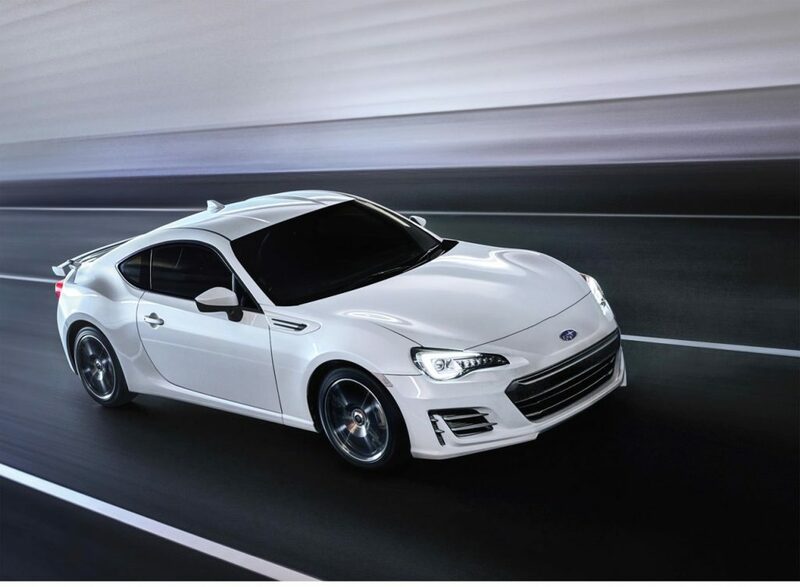 The BRZ’s face is finished off with full-LED headlights, a Subaru first. New design rear lamps and aerodynamic pedestal spoiler top off the rear of the car, and the wheels are now a 10 spoke aluminium design. Inside, a 4.2-inch colour LCD multi-information display has been added into the instrument panel. 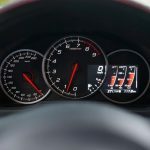 The display features a G force meter, steering angle gauge, brake force gauge, lap timer and torque/power curves for bringing out the sportier side of any driver. 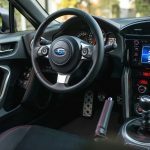 The steering wheel has also been redesigned into a smaller package with different leather to increase the driver’s grip for a more engaging experience and is finished off with audio control switches. Focus has been directed to upgrading the feel of components by using higher quality materials throughout the cabin, including Alcantara and leather seats. 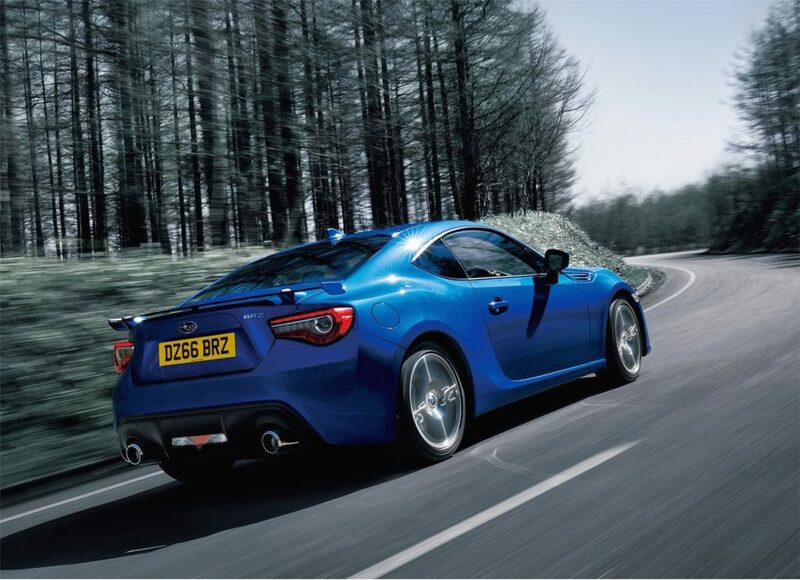 BRZ was built to deliver a linear driving feel, ensuring that the car responds exactly as the driver intended. 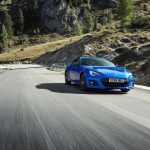 Keeping this concept in mind, the BRZ’s suspension, engine and drivetrain have been further refined to further enhance its poised handling and driving experience. Inside the Subaru hallmark Boxer engine, the strength of the cylinder blocks has been increased. The valve stems have been buffed and polished, the camshaft is lower friction and the weight of the rocker arms has been reduced. 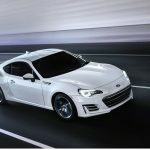 These changes couple together to result in a more responsive, fuel efficient engine. 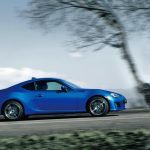 The dampers have been redesigned to reduce body roll, increase precision whilst cornering, as well as damping vibration, therefore delivering improved ride comfort whilst being dynamically focussed. 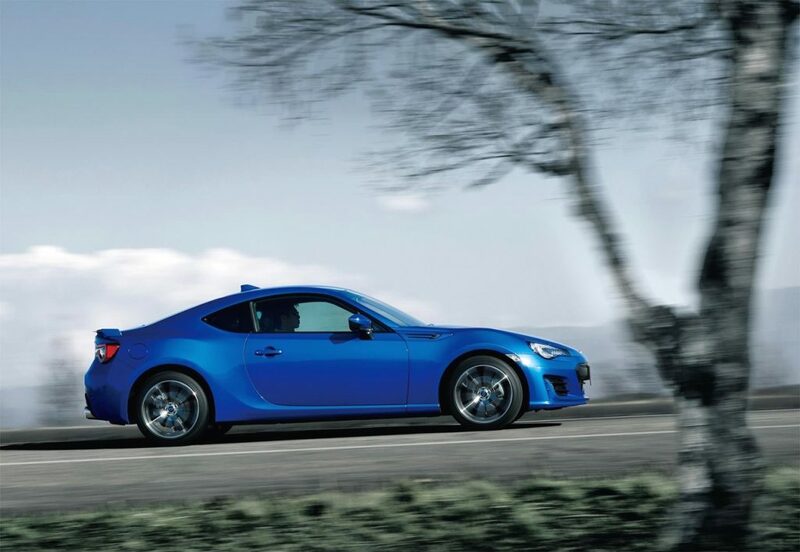 For sporty drivers, the new TRACK mode enhances the stability of the car and allows for more refined accelerator inputs when driving on race circuits and consolidates the previous 5 VDC modes into 4. For the urban drivers, there is a new type of Hill Start Assist (HSA) to help with uphill starts or downhill reversing. On the safety front, there is also a next-generation advanced airbag system which uses upgraded sensors for a greater level of safety.